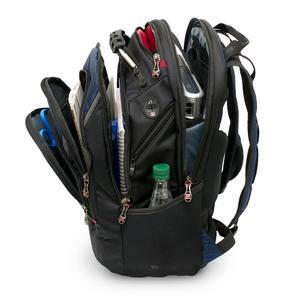 Today, many people require bags and backpacks designed to accommodate their laptop computers. Whether they’re on the move between point A and B, headed for a college lecture hall, or ranging into the field for research. The best backpacks designed for college use needs to stand up to changing circumstances in order to protect their investments. In this edition of laptop backpack review, we’ll examine the Ibex 17″ Notebook Backpack and the factors that make it one of the top selling laptop backpacks. Why is this Ibex Regarded as the Best Backpack by Laptop Users? This backpack comes loaded with an array of features specifically designed to carry your 17″ laptop securely as well as provide space for the needs of a typical gadget-heavy guy. First, Ibex 17″ laptop backpack comes with a Comp-u-Flex computer pocket. It is designed to hold your laptop securely. 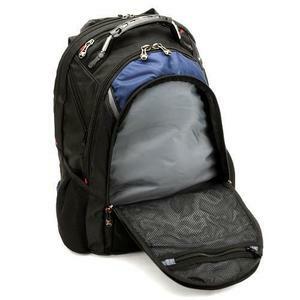 This should you give you a peace of mind when carrying the most ‘important’ item in the context of a notebook backpack. A gadget-heavy guy will not stop with a laptop these days. iPad. Tablets. iPod. MP3 player. Smartphones. Smart watch. Modem dongles. Typical gadget geeks will carry with them at least one of these, all the time. This popular backpack from Ibex comes with a quick pocket that is designed to hold your Smartphones, iPod or the other small gadgets. If you ever feel frustrated about accessing these items at times when you need them most, designers of this backpack seem to get it right. The pocket is designed for easy access to your devices. Then there is the essential organizer section found in the front pocket. This section consists of compartments and slots to store smaller items and accessories. If you have a Macbook Air, lucky you! Most average college guys do not have such luxury and decent laptops other than the Macbook Air may come in at significant weight. Together with the air-flow back padding, the shock absorbing shoulder straps are meant to distribute weight evenly while still providing comfort that is very much needed if you need to make a dash across the lecture halls often. The Ibex is brought to you by Swiss Gear Wenger and incorporates a number of desirable features to make certain you travel with comfort while protecting your laptop. Wenger took pains to provide a top-quality bag with durable materials and specialized designs that will accommodate your 17-inch laptop. While there are other bags marketed to accommodate 17″ laptops, many consumers have noted that not all 17″ computers are equal – some are bulkier or more slimly designed – and this may cause the zipper of the main compartment to fit snugly over the corners of the laptop. What that results in are scratches on the laptop’s casing and zippers that burst and need repair. The Ibex is designed to avoid this difficulty and the main compartment amply accommodates even the largest of 17″ computer casings. The bag itself is fashioned of highly durable material to stand up to a number of environments. You can haul it around town, through airports, or across country. It’s made to last and keep protecting your gear for the duration. Some of the major issues many individuals found with this bag may be chalked up to manufacturing issues, rather than flaws in the overall design. The most notable among these were misaligned zippers that would stop working after a short time and pop open unexpectedly, unraveling sides stitching, and breakage of the plastic buckles on the back straps. But again, to put things in perspective, manufacturing defects is something that is unavoidable, is it not? To me, it is a matter of luck (or bad luck rather). Defective product is defective product. The odd can be 1 out of every 100 (or 1%) but if you happened to be in the 1%, it can still be frustrating no matter what. One aspect that some attribute to the design flaw may actually be the padding in the straps. For some, it presents an uncomfortable and binding sensation when the pack is worn fully loaded. This is probably one of the more crucial considerations that you have to make when you’re thinking of purchasing one for yourself. 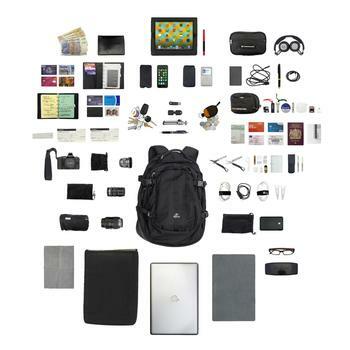 Overall, Ibex 17″ notebook backpack is a fantastic bag. It is both stylish and functional, with plenty of features to keep your laptop secure and plenty of space for all your possessions. What’s more is that it’s designed for simple access to your essential gadgets, laptop, and personal items while being secure and weather resistant simultaneously. If you travel frequently, need to haul computer equipment with you to your job site, or are a college student on the go, this bag makes the perfect companion. Its multitude of space, accessories storage, and secure, water-resistant design make in an ideal laptop bag for almost any climate. The back padding helps to keep you cool, even during the most hurried or long-drawn trek. This means that you won’t have to worry about arriving soaked at your destination if the thermometer noses over 70 degrees Fahrenheit. 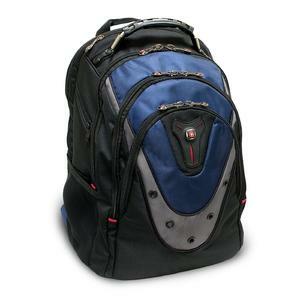 All things considered, it should help to explain why Ibex Notebook backpack is such a well-rated backpack for laptops. 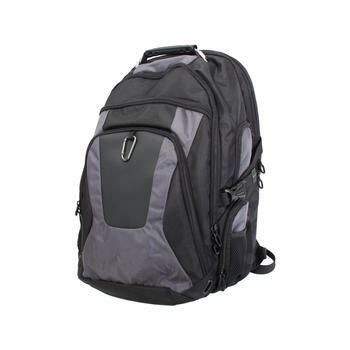 In terms of popularity, it is probably second only to Targus Drifter II which for a few years now, have been rated as one of the best backpacks for college students (especially those with laptop).